Shoulder roomy bag features like a bucket shape, built from fake leather with adjustable shoulder straps. 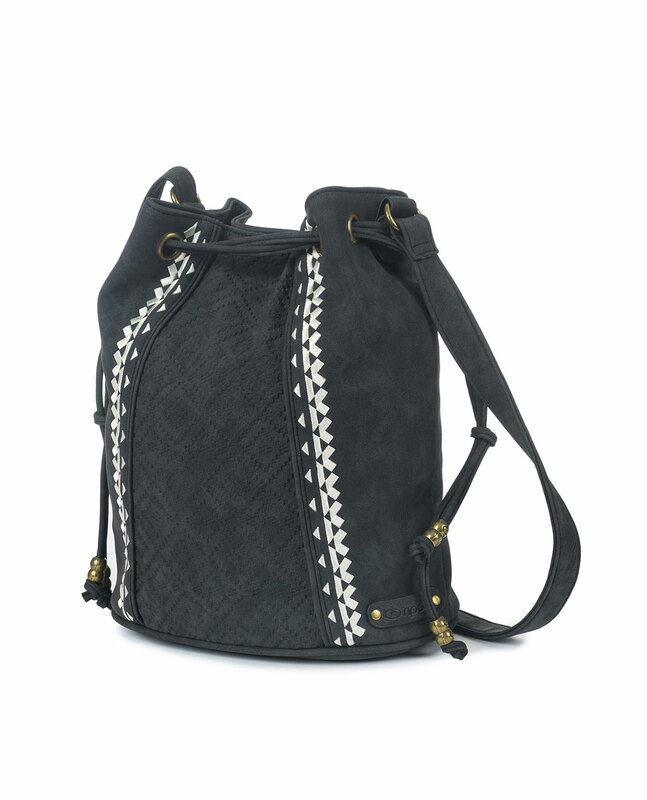 This 8 liters bucket bag features one main compartment colsed with magnetic snap and an internal zipped pocket, decorative tassel with metal beads, embossed and embroided details. H30 x L24 x D14cm.